Now in the heart of its second season, The Resident Theatre Company (RTC) is presenting the show that catapulted RTC Founder Kristin McLaughlin Mitchell’s directing career when she joined the directing team of the Broadway production. Charles Isherwood called her work “true comic delirium” in the New York Times, and the production earned three Tony nominations including Best Revival of a Play. 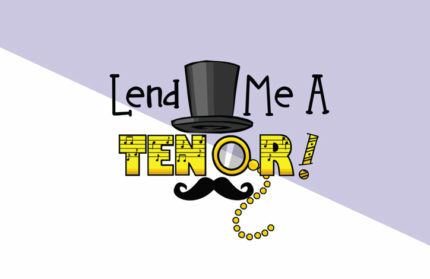 That play is Lend Me a Tenor, a hilarious farce complete with comic mishaps, elaborate costumes, surprising plot twists, slamming doors and mistaken identities. “I feel it’s a perfect show for the holiday season because it keeps the audience laughing for two hours straight. It’s one of the funniest scripts I’ve ever worked on,” said Mitchell. The story takes place in Cleveland, Ohio in 1934, on a very important night for the Cleveland Grand Opera Company. Tito Mirelli, the world-famous Italian tenor, is set to perform the starring role in Otello. The General Manager of the company is worried about everything turning out right and insists that his assistant, Max—a nervous, young man with a secret talent—watch over Tito’s every move to ensure he shows up at the theatre on time. But this task proves to be harder than anyone could have imagined. Throw in Tito’s fiery Italian wife, an ambitious female co-star, Max’s giddy girlfriend, a flirty board member of the opera guild, and a meddling bellhop fighting for Tito’s attention and you have a recipe for comedic disaster. This show is a must-see for the holiday season. Great for a date night, girl’s night out, or a way to entertain family and friends over the holiday break. It’s New York theater in West Chester!